When those words appear onscreen during Lynne Sachs’ “The Last Happy Day,” they refer to an aspect of Sachs family history during World War II that had been unknown to the filmmaker. But the question is one that resonates throughout Sachs’ work, as both theme and motivation. Sachs’ films are searching, inquisitive projects — quests of discovery (and self-discovery) that yield facts and insights that become even more meaningful when they are shared with audiences as art. And, just so you won’t be intimidated, we might add: All this, and Winnie-the-Pooh, too. Four films — ranging from 33 to 63 minutes in length — will be screened, two per day, at 7 p.m. Thursday and 4:30 p.m. Saturday, Nov. 20. The “I Am Not a War Photographer” title connects the screenings to the “Picturing America” exhibitions now at the Brooks, which include Civil War engravings by Winslow Homer and photographs of Civil War re-enactors by Robert King. The title also acknowledges that the films selected for this series all deal with war, albeit in an indirect if extremely personal way. Other “war zones” revisited in the Sachs films that will screen at the Brooks include Israel, Hungary and Catonsville, Md., where in 1968 nine war protesters — including celebrity dissident priest Daniel Berrigan — raided a draft board office and burned selective service records with a gooey mixture of homemade napalm contrived from gasoline and Ivory soap. 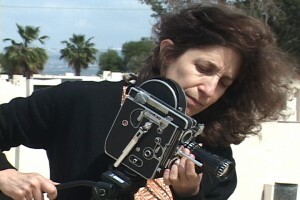 Sachs apparently retained those lessons, because the 20-plus more or less avant-garde short films she has made over the past 23 years — typically described in such uncommercial terms as “essay films” and “experimental documentary portraits” — have been movies of ideas, screened primarily at museums, cinematheques and film festivals around the world. “States of UnBelonging” (2006, 63 min. ), a portrait of an Israeli filmmaker and mother killed by terrorists on a West Bank-area kibbutz. Saturday, Nov. 20, 4:30 p.m.
“Which Way Is East: Notebooks from Vietnam” (1996, 33 min. ), an impressionistic travel diary of Ho Chi Minh City. Admission: $8 per day, or $6 for museum members. Advance tickets: brooksmuseum.org.